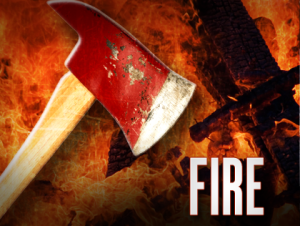 DRUMMOND ISLAND, MI-- A house fire has claimed two lives in the far eastern U.P. The Chippewa County Sheriff’s Office was called Sunday around 9:50 p.m. to a home on Johnswood Road on Drummond Island. They found the house fully engulfed. 911 calls indicated there were two people inside the house at the time. Kyle Ray Messenger, 30, and his 5-year-old son reportedly died in the fire. The incident remains under investigation. Deputies and detectives are processing the scene with the Michigan State Police Fire Marshal. The Sheriff’s Office was assisted by the Michigan State Police, Drummond Island Fire Department/EMS, and Chippewa County Central Dispatch.